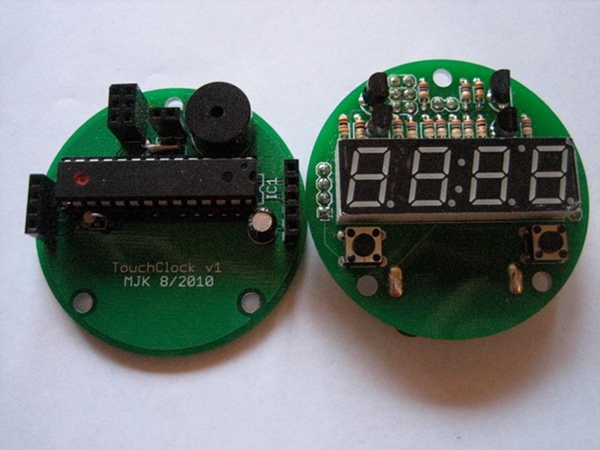 The TouchClock is a simple digital clock that senses when it is held. 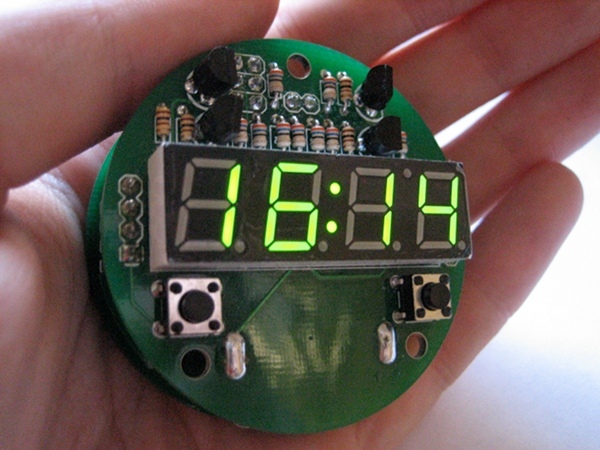 The digits are typically unlit, but when it is picked up they light up to tell you the time. The bottom of the lower PCB is a large copper plane. The time taken to charge this plane through a large resistor is an RC time constant. Because R is large, small changes in C can be detected. 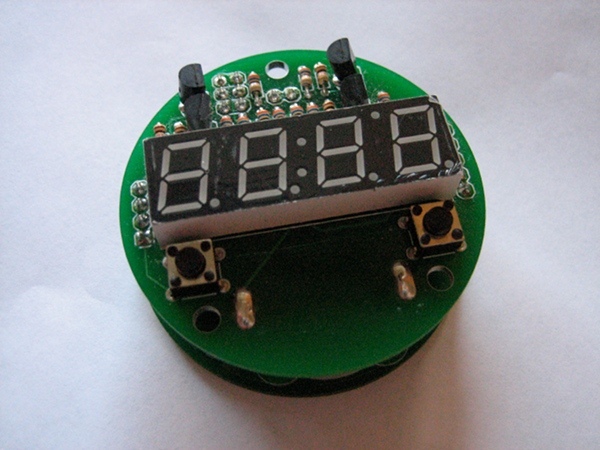 The code uses the CapSense Arduino library to handle the charge timing. The clock uses a quartz clock crystal and sleep modes to maximize battery life. 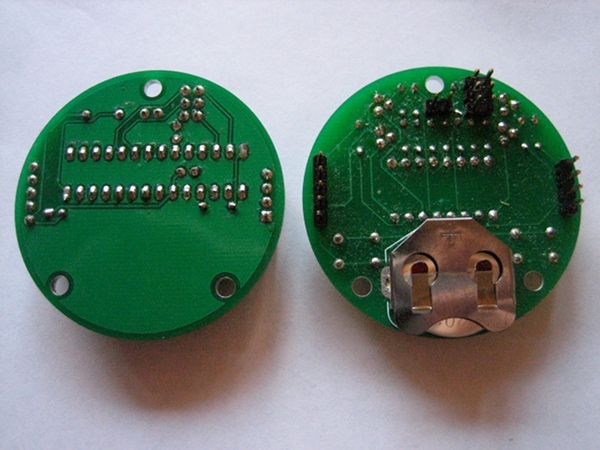 The crystal is wired to timer pins on the microcontroller. It wakes up once per second (when the timer overflows), checks for a nearby hand, then falls back asleep if no one is nearby.